I continue to receive e-mails concerning seemingly more and more common explanations of Sola Scriptura that in effect strip it down to nothing more than what Kevin Bauder calls Nuda Scriptura. You can read a good explanation of the doctrine by Jason Parker here, along with links to more pertinent articles. Along the same lines, I thought I’d post Chapter 2 from Sound Worship, which deals with the issues. I trust it will be helpful. But this problem, as you know, does not end with childhood. We each struggle with authority all of our lives! Especially when it comes to ethical decisions, we struggle with who has the authority to tell us what to do. For Christians, our clear answer is, God is our authority, and the Bible is our sufficient source of that authority. Does the Bible even say anything about musical style? Is there even such a thing as music that doesn’t please the Lord? Is the Bible all we need to make God-pleasing decisions? Ultimately, the place we must go when asking questions of how to please the Lord is the Bible. One of the hallmark doctrines of Evangelical churches is the doctrine of the sufficiency of Scripture. But what, exactly, does the sufficiency of Scripture mean? 14But as for you, continue in what you have learned and have firmly believed, knowing from whom you learned it 15and how from childhood you have been acquainted with the sacred writings, which are able to make you wise for salvation through faith in Christ Jesus. 16All Scripture is breathed out by God and profitable for teaching, for reproof, for correction, and for training in righteousness, 17that the man of God may be competent, equipped for every good work. The first point we can draw from this text is that the Bible is sufficient to give us the teaching we need for salvation. Paul tells Timothy in verse 15 that the “sacred writings,” a phrase used often to refer to the Scriptures, are sufficient (“able”) to give him the truth he needs (“to make you wise”) for salvation. The Holy Spirit uses the Word of God in a person’s life a the means through which that person comes to faith in Christ. The Holy Spirit is certainly the agent of regeneration, but he does not somehow miraculously “zap” an individual without that person understanding the truths of the gospel. Regeneration is supernatural, but it is accomplished through the proclamation of God’s Word. For example, Paul says in Romans 10 that people will not come to salvation without someone preaching the Word of God to them (v. 14) because “faith comes from hearing, and hearing through the word of Christ” (v. 17). In Luke 10, a lawyer asks Jesus, “What shall I do to inherit eternal life” (v. 25)? Jesus replied, knowing the lawyer was testing him, “What is written in the Law” (v. 26)? In other words, everything you need for eternal life is found within the Scriptures. In Luke 16, when the rich man, in Hades, asks Abraham to send Lazarus to his father’s house to warn them about judgement (vv. 27—28), Abraham replies, “They have Moses and the Prophets; let them hear them” (v. 29). In other words, all the warning necessary to lead a person to salvation is found within the Word of God. So the Bible is all anyone needs to lead him to faith in Jesus Christ. But that is not the only thing for which the Bible is sufficient according to 2 Timothy 3. Not only is the Bible all anyone needs for salvation, the Bible is also sufficient to makes us “competent, equipped for every good work” (2 Timothy 3:17). The word translated “competent” and the word translated “equipped” are actually different forms of the same term that communicate the idea of being perfectly adapted for a task. What an incredible truth! The Bible equips us to do absolutely everything that God expects us to do. But upon what basis can Paul makes this statement? Let’s look back up in verse 16 for explanation. The first statement about Scripture that Paul articulates is that it is inspired, literally “breathed out by God.” In Jeremiah 1:9, God told Jeremiah, “Behold, I have put my words in your mouth.” This is the idea communicated by the Greek term Theopsneustos in 2 Timothy 3:16. Theos is the Greek term for “God” and neuma means “breath.” So God literally breathed out the very words of Scripture. He did not dictate the Bible as if the human authors were mere secretaries, but as 2 Peter 1:21 tells us, “men spoke from God as they were carried along by the Holy Spirit.” Each human author wrote of his own volition in his own writing style, but because he was carried along by the Holy Spirit as he wrote, we can be confident that every word in the Bible has been breathed out by God himself. We draw several important implications from this truth that every word of the Bible was inspired by God. First, because the Bible came from God, and God is both true and unchanging, the Bible is therefore both inerrant (without error) and infallible (incapable of error). In Matthew 5:18 Jesus said that not one word of Scripture will pass away until it is all fulfilled. In John 10:35 he said that “Scripture cannot be broken.” The Word of God is perfect. But also, the fact that the Bible was breathed out by God implies its authority. No Christian would deny that God is his ultimate authority. Therefore it follows that if God is our authority, then his infallible Word is likewise our authority. The Bible is sufficient to perfectly equip us for every good work because it is from God himself. We can be certain that we have everything we need in order to please God in the Bible itself because it is from him. It is perfect, it is complete, and it is authoritative. But not only is the Bible authoritative, it is also profitable, as 2 Timothy 3:16 tells us. And remember, the beginning of the verse identified “all Scripture.” Every part of the Word of God has profitability for the Christian. The profitability of Scripture further undergirds its sufficiency for us. The Bible is our authority, and every part of it is profitable. The term translated “profitable” is a word that means beneficial, productive, and sufficient. Inherent in this word itself is the sufficiency of Scripture articulated so well in Jude 3 where the author says that the Scripture was “once delivered for all the saints.” We should expect no additional revelation from God. The Bible is sufficient to equip us. It is sufficient for both our doctrinal needs and our practical needs. The terms “teaching” and “reproof” are most naturally connected to instructing and correcting in areas of doctrine, and the terms “correction” and “training in righteousness” carry the idea of adjusting and nurturing right conduct. The Bible is sufficient, then, as our authority and guide. It thoroughly equips us to believe and live in a way that brings ultimate glory to God. We have seen, then, from 2 Timothy 3, that the Bible is sufficient for our salvation and our sanctification. Because it came directly from the breath of God, it is sufficient as our authority and as our profitable guide. However, this understanding does not end all debate as to what exactly this sufficiency really means. For example, if we were to discuss how the sufficiency of Scripture applies to making musical choices in our lives, some would argue that since the Bible doesn’t really talk at all about musical style, then style must be unimportant to God. If the Bible is sufficient, and if the Bible doesn’t address a particular issue, then we don’t need to worry about it, right? After I graduated from college, I lived a year as a bachelor. I entered pastoral ministry in Illinois two days after my graduation, proposed to Becky a week later, but had to wait a year for her to graduate before we married. It wasn’t long before I recognized, however, that even though the cookbook gave me very clear instructions about how to make meals, I needed more information than just what was in the book to help me. I found myself calling Becky from the grocery store asking her where to find certain ingredients, and I basically had her on the phone the entire time I was cooking because I needed help interpreting various phrases, terms, and instructions. Now, there wasn’t really anything deficient in the cookbook itself. It really was all I needed to make healthy meals. The deficiency was in myself. I needed other information, such as where to find things in the grocery store, the definition of terms, and how to perform certain actions the cookbook took for granted in order to cook the meal. The cookbook was a guide, but I needed more information to apply its instructions. That’s one way of interpreting “perfectly equip.” But here’s another way. Because of the care she has put into the list, I can be certain that if I accomplish all of the instructions on the list, I won’t have to worry about anything else. If a decision arises that she has not addressed on the list, I can safely assume that she really doesn’t care what decision I make. For example, the list says nothing about which pajamas to put on my son before bed, so I can make that decision on my own. In other words, if I stick to the list, I know I’ll do everything correctly. Anything not on the list really doesn’t matter. People approach biblical application in one of these two ways. For some people, the Bible is like a list. God gave us a list of things that he wanted us to do, and a list of things he wanted us to avoid, and so if something is not on the list, God doesn’t care about it. Others, however, view the Bible more like the cookbook. It has everything we need in it to please God, but sometimes we’ll need some other information to apply its instructions. So which way is correct? Now the works of the flesh are evident: sexual immorality, impurity, sensuality, 20idolatry, sorcery, enmity, strife, jealousy, fits of anger, rivalries, dissensions, divisions, 21envy, drunkenness, orgies, and things like these. Here we have a list of sinful actions that we should avoid, things like sexual immorality, jealousy, and drunkenness. The fact that this is a list may suggest that the “Bible-as-list” view is the correct one, but notice that Paul does not intend for this to be an exhaustive list. Notice that he ends the list with, “and things like these.” In other words, this list, like others throughout Scripture, is meant merely to be a representative list. God expects us to read lists like this and consider other actions that we should also avoid because they are “like” the things on the list. The face that Paul called these work “evident” indicates that we should be able to discern them. The author of Hebrews says that a mark of spiritual maturity is having your powers of discernment trained so that you can distinguish between good and evil even if you don’t have specific instructions about a particular issue. Someone who is immature needs specific instructions. But every so often, I tell Caleb to clean up his toys, and that’s all the instructions he needs. Without me giving him specific instructions, he discerns that he needs to put all of his books away, box up his Legos, and put away his toy cars. It is at those moments that I recognize the beginnings of maturity. The same is true for Christians. The Bible is not a list of commands and prohibitions. It is not an encyclopedia of specific instructions for how to please God. Instead, the Bible is an all-sufficient guide for developing a God-pleasing worldview. It doesn’t give us specific lists that cover all possible situations we may encounter in our lives. It gives us ways to order our thinking so that we will choose what is right even when God has not explicitly told us what to do in a given situation. There are hundreds of situations we face today that the Bible doesn’t specifically address because we encounter issues that the original authors and audiences would have never imagined. The Bible does not perfectly equip us for every good work by telling us the exact right decisions to make for every situation we may face. 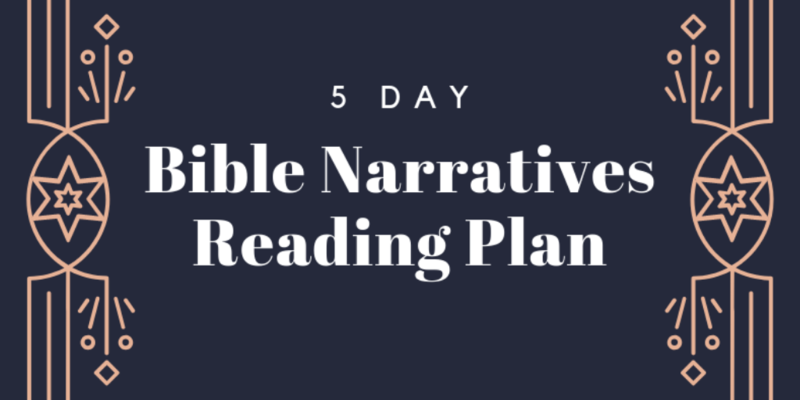 Rather, the Bible provides us with hundreds of narratives illustrating specific situations that may resemble the ones we’ll face. It gives us thousands of commands and prohibitions from which we may draw principles to apply to new issues. It presents us with a display of the nature and character of God so that we may make exactly the kind of decisions he would make without him having to tell us. Actually, those who insist that if the Bible doesn’t address something then it doesn’t matter what we do are limiting the profitability of Scripture. The Bible applies to everything! Once I remodeled an attic loft in our home and built it into a master suite. Sometimes when particular questions arose I asked for my wife’s opinion to make sure I would choose something that would please her. But often, because I had grown to understand her desires and preferences, I was able to make decisions I knew would please her without even asking. This is what the Bible enables us to do as we seek to please our God. So the sufficiency of Scripture does not mean that the Bible is all we need to please the Lord. It does mean that the Bible is the only perfect, authoritative revelation we need. But we will often require additional information in order to apply the Bible’s principle to life. For example, in order to please the Lord with my driving, I need to know the rules of the road, what the speed limit is, and the mechanics of driving. In order for couples to please the Lord with their birth control options, they need to understand something of the nature of different forms of birth control, especially whether or not a certain form is abortive. In order to please the Lord with my body, I need to understand something of the nature of nutrition, healthy exercising, and the effect of certain substances (like nicotine or caffeine) on the body. And in order to make musical choices that please the Lord, I need to understand something of how music communicates and affects spirituality. The Bible does not explicitly tell us what kind of music pleases the Lord or what kind of music does not or even if such categories exist. The Bible does not explicitly tell us how music works or how we relate to music. But this does not mean that our musical choices are left to mere whim or preference. Just like with many other issues, we may draw certain implications from biblical statements about music and examples of music, and we may look to extra-biblical informational authorities to gain necessary understanding of music so that we may apply the Bible’s clear principles to it. We must “test everything” and “hold fast that which is good” (2 Thessalonians 5:21). This kind of application of the Scripture, as Hebrews 5:19 states, is going to take diligent work and training. Paul tell us in 1 Timothy 4:7, “Train yourself for godliness.” Literally, “Continually train yourself to be godly.” We may say that we want to please the Lord; we may say that we want to make right choices in our lives; but we are often unwilling to work hard and train ourselves to be godly. Skillful application of the Bible comes only from disciplined training. The process of sanctification, while inevitable, is not automatic. The Bible teaches that believers will surely persevere, but it also teaches that perseverance is an active process for the believer. Christians must actively pursue godliness. It requires training. This word, “train,” in 1 Timothy 4:7 is in the present tense which emphasizes that this is an ongoing, continual process. It is a translation of a Greek term from which we get our English words “gymnasium” and “gymnastics.” It speaks of rigorous, strenuous, self-sacrificing training. Paul compares training for godliness to the physical training of an athlete. Paul’s emphasis is this: strive after godliness. Pursue it. It is not an option. Spiritual self-discipline has eternal value and is the key to godly living. Learning to rightly apply the Bible to life’s situations is something that takes effort, discipline, endurance, and patience. As we seek to apply the Bible to contemporary issues, we must contextualize scriptural principles to modern contexts, and this is a two step process. First, we apply a historical-grammatical hermeneutic to read the Bible as the original audience would have read it and extract timeless principles. This step requires understanding of the original readers’ contexts and presuppositions, and sometimes this may require consultation of extra-biblical sources including language tools, lexicons, histories, and archeological studies. Second, we apply those timeless principles to contemporary issues. This step requires understanding the nature of the contemporary issue, and again, this may require the consultation of extra-biblical sources. Students of the Bible us extra-biblical sources of truth regularly as they interpret the Bible. Why, then, do some refuse to use extra-biblical sources as they apply the Bible? As we consult extra-biblical sources in both of these steps, we recognize that our ultimate source of authority is the Word of God, which authorizes all of our knowledge. But we also recognize that the Bible itself testifies to the real authority of general revelation as a source of truth (Romans 1:20). In other words, although the Bible is our supreme authority and source of truth, real truth exists outside its pages, and that truth informs our presuppositions as we approach the task of application. In other words, biblical application is sometimes hard word! The Christian life is not one of passive living. It should be one of active, hard-working, disciplined training toward godliness. God commands us to actively pursue godliness through intense training, which includes how to rightly apply the Bible to all of our choices. So if our goal is to apply biblical principles to issues related to music, it is my contention that we must have at least a cursory understanding of how music works and how we relate to music. If you want to make good decisions in the Bible translation debate, you must understand something of translation philosophy and the history of Bible translation. If you want to make good decisions regarding whether a Christian today should consume alcohol as a beverage, you must understand the nature of alcohol and the cultural conditions of the Ancient Near East. The same is true for music. This does not mean that you must understand music theory or be a practicing musician. But you must have a basic understanding of the way the music communicates if you are going to apply the Bible’s principles about communication to this medium. So as we enter a discussion of musical choices that please the Lord, we must acknowledge several important points. First, the Bible is sufficient as our authority in these matters. We must immerse ourselves in the truths of Scripture to arrive at God-pleasing decisions about music. Second, we need to give careful attention to other information that may be helpful in our decision making. In particular, we need to understand something about how music communicates. We need to understand the purposes of music, especially for worship. We need to understand the nature of beauty and its relationship to the glory of God. Understanding some of these things may require careful thinking and work. But that is what is necessarily for those who want to please God with their choices by applying the Bible to contemporary decisions, including what music we will enjoy. 2 Responses to Is the Bible Enough?